Confession: Katie and I might have been surprised to find that there is such a thing as “tropical wines” made only from fermenting tropical fruit, not just blending a white wine with a fruit juice. I mean, we knew you could make wine out of non-grape fruits (plum wine, anyone? 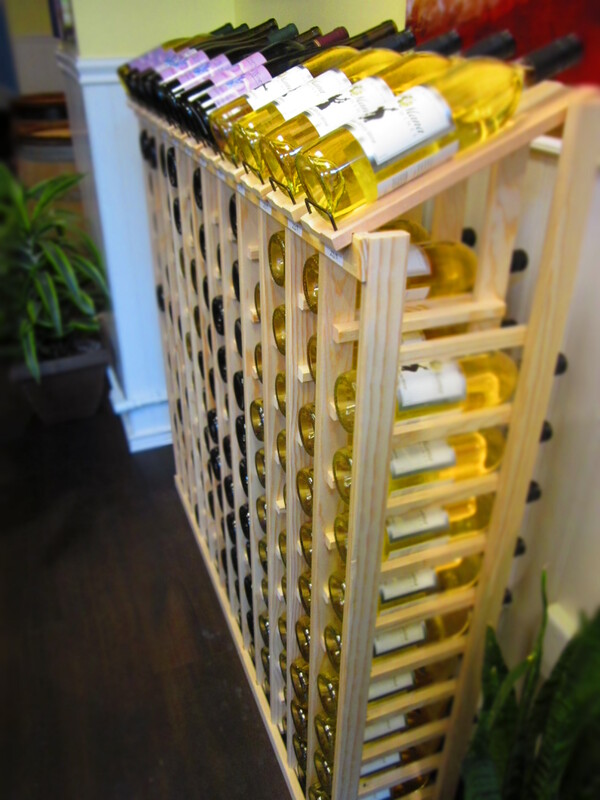 ), but the thought of guava, passion fruit, or pineapple wines never crossed our minds. Then we walked into Island Mana‘s tasting room. 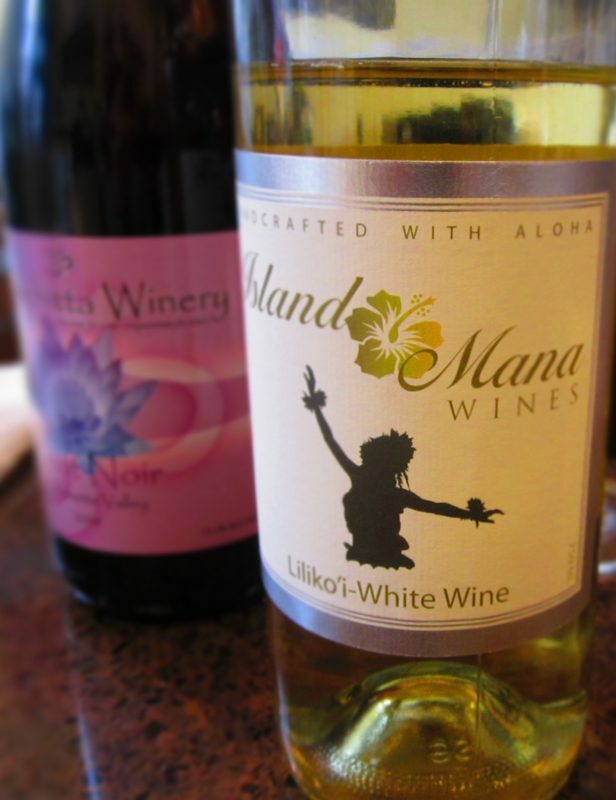 Island Mana and its sister label, Bodhichitta, are the creation of Mark Proden, a former Air Force pilot and engineer who started the labels after attending the Northwest Viticulture Center in Salem, OR. Island Mana wines are tropical fruit wines inspired by Mark’s time living on the Hawaiian island of Kauai. 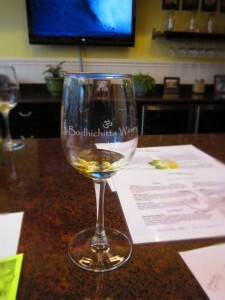 The Bodhichitta winery produces Oregon reds and whites, as well as fruit wine blends. Island Mana’s wine tasting room, which opened in March 2012, is located near Pioneer Square. 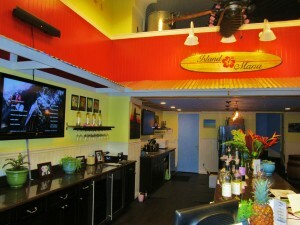 Katie and I stopped by to chat with Mark about his take on tropical wines and his new Hawaiian inspired tasting room. 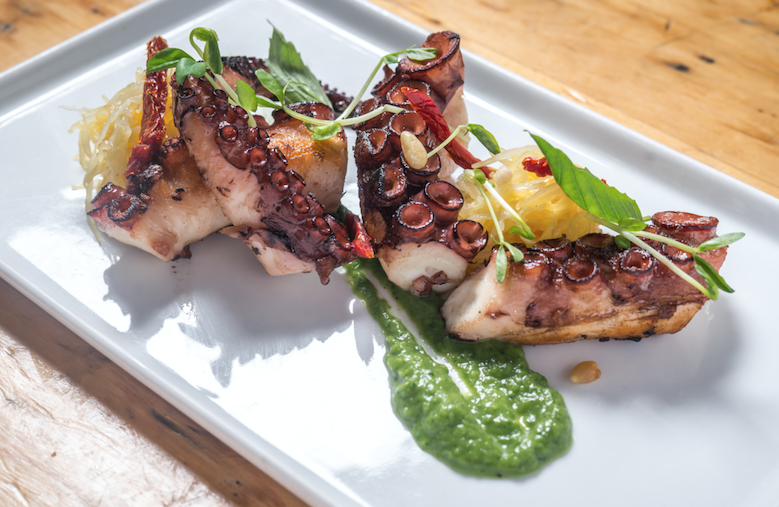 Decorated with photos and art from his time in Kauai, tropical plants, and a surf board displaying his brand, the tasting room has a welcoming and laid back vibe. We started by trying two Tropical Wines that Katie and I were sure would be too sweet for our liking. Our first taste was of Luana Liliko’i (Relaxing Passion Fruit), a passion fruit wine blended with pinot gris, and actually one of Mark’s driest wines. It’s perfect paired with a tropical seafood dish, and I thought would make a delicious white sangria this summer! Next we tried the Pineapple Makani, a 100% pineapple wine. 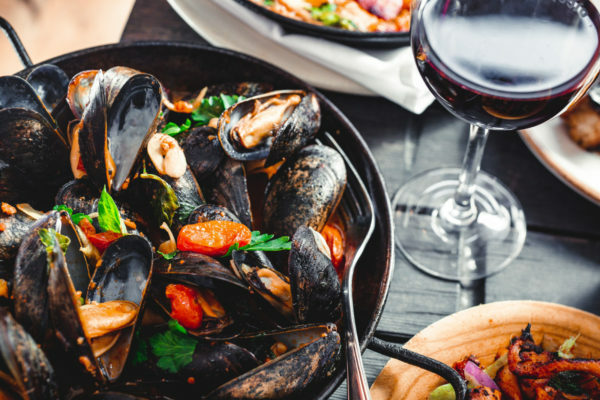 It’s a surprisingly smokey wine that would pair nicely with a great pizza or sandwich. It was great to find that neither of the wines were too sweet or syrupy, as we feared they might be. Both fell on the more acidic side of the scale, definitely a plus for us. From the Bodhichitta label we enjoyed three tastings, including the 2008 Chardonnay and 2008 Pinot Noir, but our favorite was the 2009 Primordial Compassion, a blend of Contemplative Cabernet and Dharma Black (Mark’s blackberry wine). Katie imagined creating a reduction sauce to pour over ice cream. Yes, please! In addition to wine tastes, flights, and glasses, Island Mana also offers a small snack menu and “winetinis,” wine cocktails made with fruit juice and Mark’s own frizzante Pinot Gris. 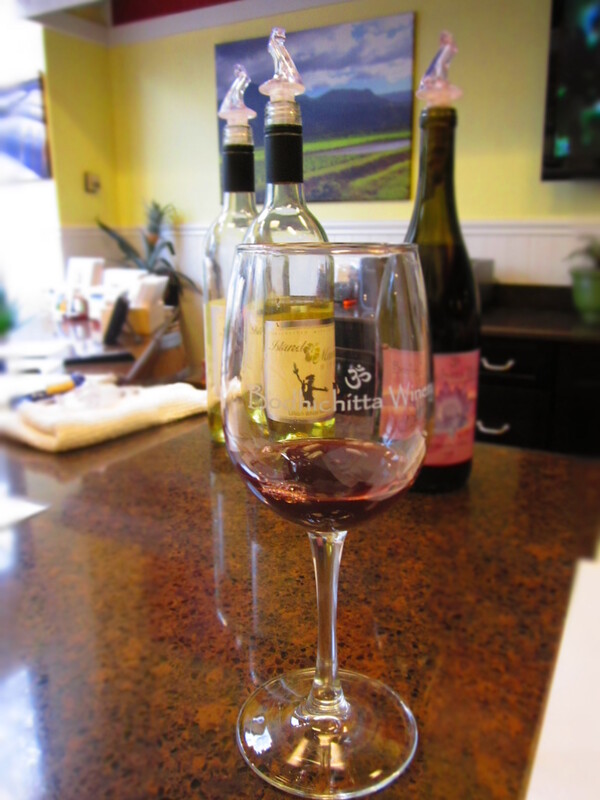 Happy hour at Island Mana is daily from 4-6:30pm with $2 off all glasses and flights. 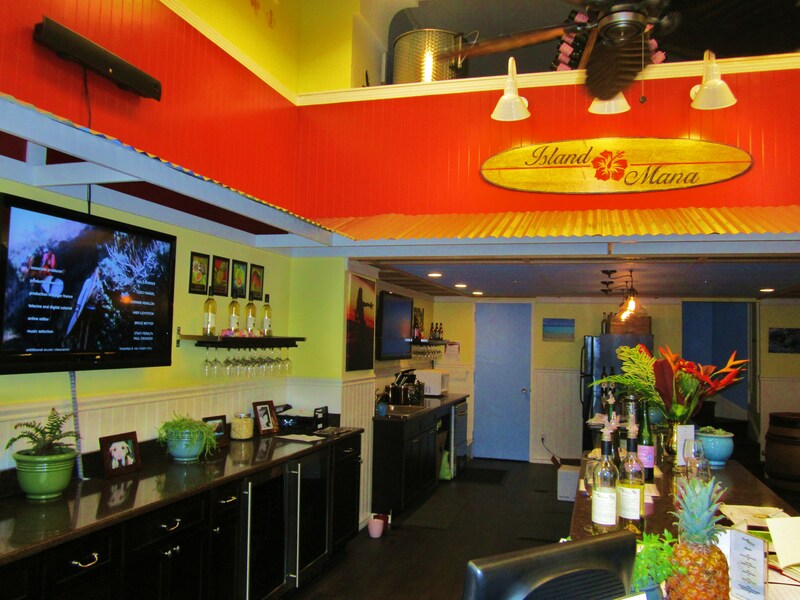 The tasting room also hosts hula lessons on Tuesday nights from 6:30-7:30pm and live Hawaiian music Wednesday and Friday nights from 4:30-6pm. Find out more about Island Mana’s weekly events here. Bottles are available for purchase in the tasting room (prices range from $19.99 to $37.99) and will soon be available at local grocery stores as well. You can find Island Mana Wines at 526 SW Yamhill St Portland, OR 97204. Stop in to say hello, and tell Mark that Kelly and Katie sent you! 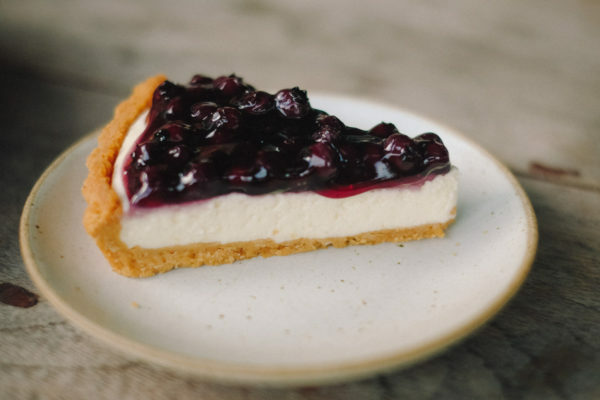 Growing up on Whidbey Island in a family passionate about food and drink, Kelly quickly learned to appreciate a good margarita, wine with dinner, and how sometimes just a good old Henry Weinhards hits the spot. Though she has yet to develop a taste for beer drinking, food and drink remain a passion. 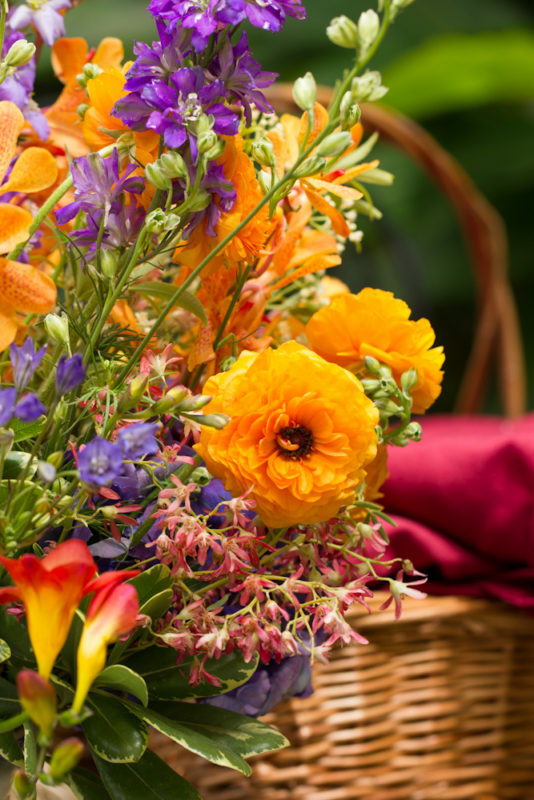 A graduate of University of Portland, Kelly lives in Portland and works as an event manager for The Sparks Group. She can be reached at kellyadegraaf (at) gmail.com.